Studying maths at university can open up a whole range of career opportunities. 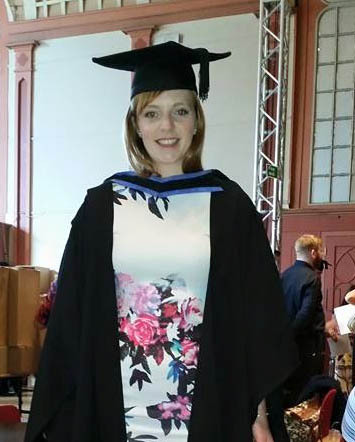 We caught up with University of Brighton Mathematics BSc(Hons) graduate Kayleigh, who tells us about her job in the City as an Indices, Commodities and Treasuries Trading Risk Manager at CMC Markets. “CMC Markets is a Spreadbet and CFD trading platform, clients can trade these products with us. My job is to manage the client flow and hedge the flow in the underlying markets to manage the level of risk the company allows and to make the company money, essentially. This involves a lot of analysis of clients trading and how the products perform over the day/month/quart/year to develop strategies to make money. Studying maths had an influence on my current role in the sense that I wouldn’t have got this role had I not studied maths. My analytical skills and problem solving really put me ahead of others in getting this role. I did do a Finance course at University but I didn’t ever expect this is what I would end up doing. I actually did a placement at CMC Markets between my 2nd and 3rd year at university. I was offered a job while I was on placement which meant that I could spend my 3rd year not worrying about looking for a job. It was a different role to my current one; I was promoted earlier this year. Kayleigh’s advice to anyone thinking of studying maths at Brighton? This entry was posted in Graduate, Life at Brighton, Uncategorized, Undergraduate. Hello and welcome to our blog about maths at the University of Brighton.